Today’s the day, but I noticed this gem earlier this week. After this week, Back to the Future will take place entirely in the past. Yep, the events that took place in The Back to the Future Trilogy are now officially all history: 1985, 1955, 2015 and 1885. All of which, by the rules of the franchise, would be considered alternate timelines anyway and have no effect on us at all. 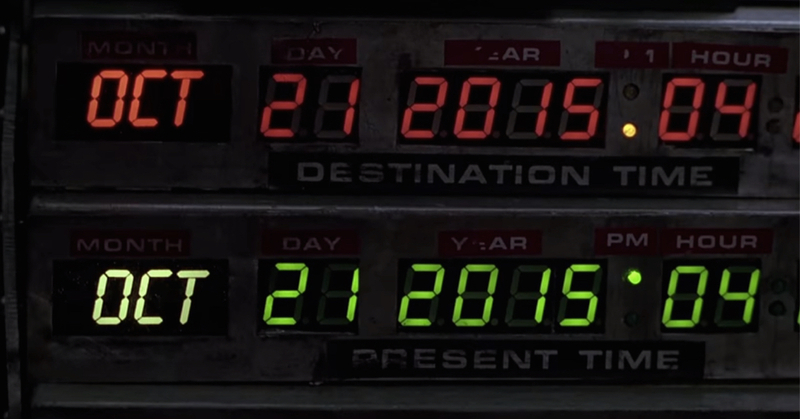 Dig up an orange vest, fire up the flux capacitor, put on your best 50’s, 80’s or 2015 playlist and have a great day!